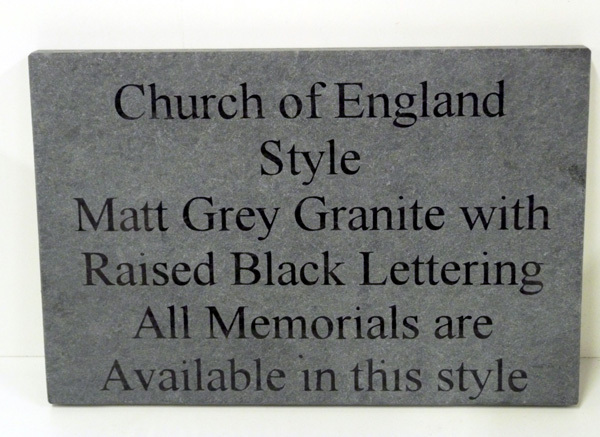 Church of England cemeteries do not allow shiny black granite stones. 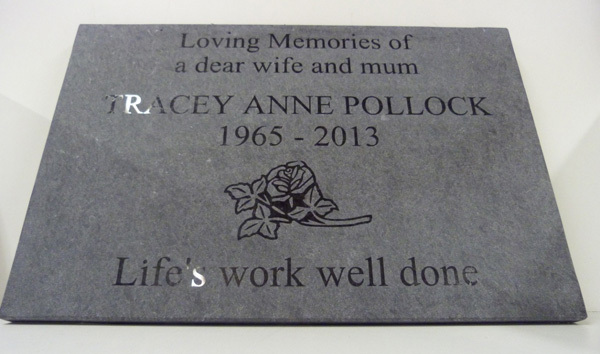 This option is made from solid black granite with the lettering in black granite. To achieve this we start with a gloss black granite stone apply the decals and sand blast the gloss finish away this leaves the lettering a little proud and with a beautiful solid finish. 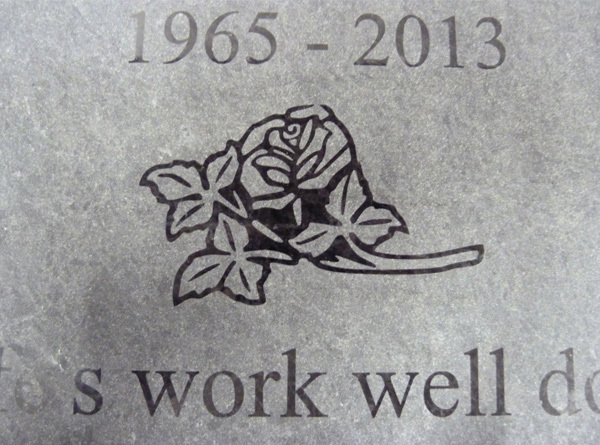 This is not laser etched, printed or a transfer it is the natural stone. Please contact Paul on 0780 22 666 99 to discuss your requirements.